Pat, if I remember right, the art is actually by Frank Springer. Robbins' work, which I like, is more cartoony than this. This looks similar to stuff Springer did in Shield for Marvel around the same time. I remember buying this issue just because it was a #1, plus the odd cover with the tiny logo. Don't think I ever actually read it though. One of my favorite series of all time, and one of my first experiences of a favorite series being cancelled. 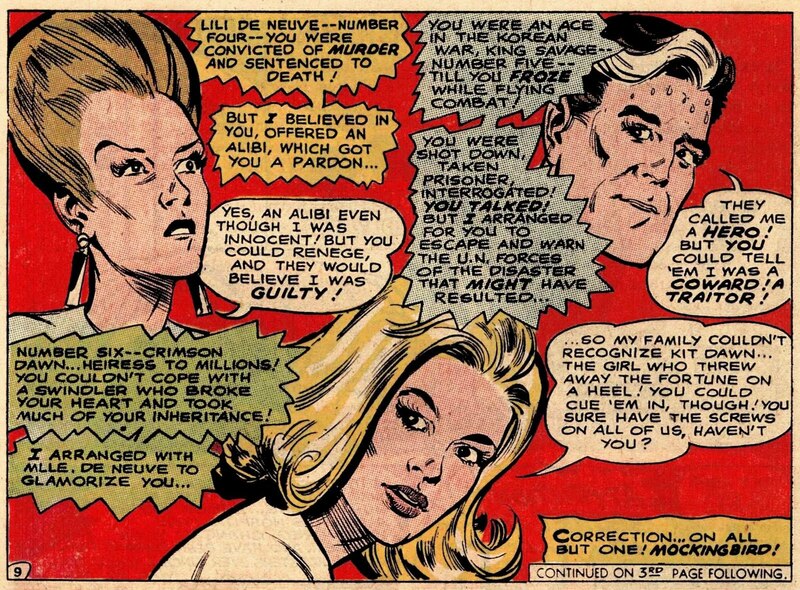 I recall that around the second issue there was a slip by the writer involving a thought balloon for one of the characters that effectively eliminated him/her as a possible candidate to be Mockingbird. I think the editor (Bridwell himself?) responded in a letter column that it might have been an intentional clue and not a slip up. Michael, as I indicated in the update I'm enjoying the series a lot more as it goes on; I like the way the characters are revealed to us over time. I see the point you made about the thought balloon (in #2) and it is indeed mentioned in a letter (in #4) although the editor (Giordano after the first issue, Murray Boltinoff for the debut only) does not explain it away; he just ignores it. In response to another letter, he says that he does not know who Mockingbird is and that they will never reveal his or her identity. I once did an analysis of the short run of The Secret Six, to see if I could deduce the identity of Mockingbird. 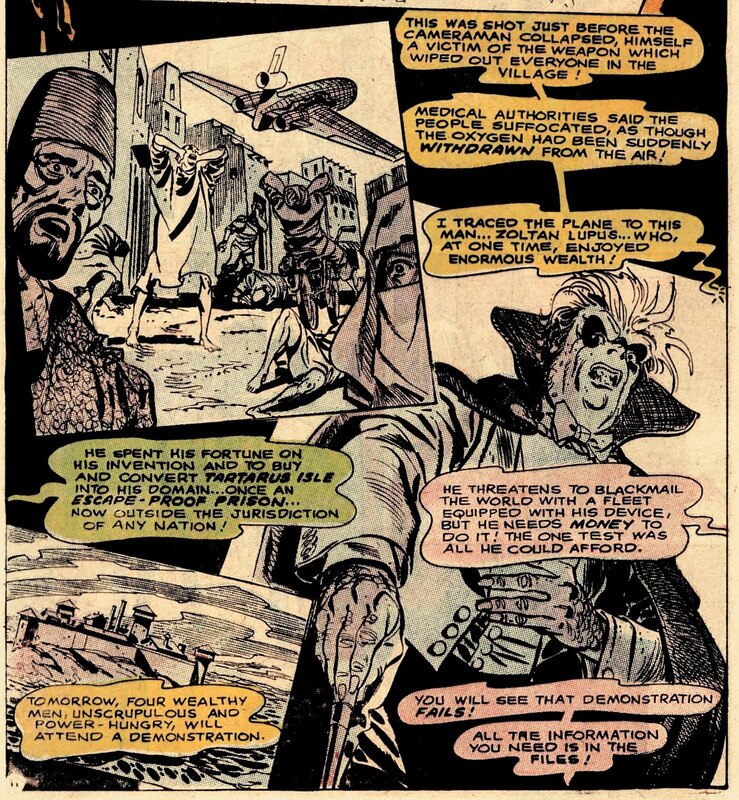 I posted my conclusions as an entry in my Deck Log column back on the original Captain Comics board. Not trying to toot my own horn or anything. In fact, there is some counter-argument to my solution. Supposedly, Nelson Bridwell once revealed whom he intended to be Mockingbird, and it wasn't my conclusion. 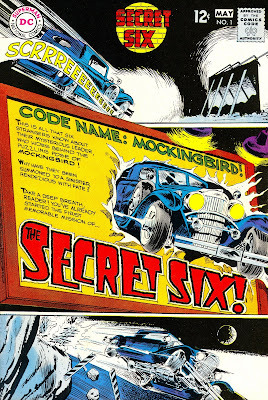 I actually had the complete set once upon a time, and Mockingbird would later be revealed when the Six were reunited in a serial in Action Comics Weekly nearly 20 years later. There was a "Mission: Impossible" vibe, and I think that might've been Bridwell's inspiration. Heh, I bought the issues in back issue bins virtually on the cheap, long after I'd collected the last 9issues of Super Friends (most of which were also written by Bridwell). What a difference in the writing. Nelson knew what audiences the books were meant for, that's for sure. Nice to learn a bit more about this - DC really put out some interesting stuff in this era. Much was overlooked because the advent of Marvel had the same effect as the advent of grunge in the nineties had on many good bands who suddenly found they weren't cool anymore. It's pretty much an unstoppable force when you're not the cool one, even if you're an originator, as myspace has learned. 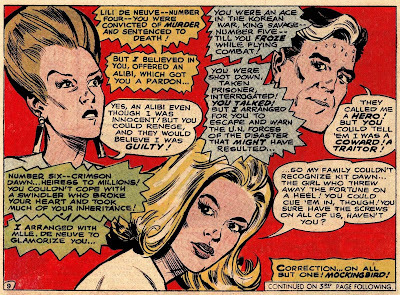 Who was Mockingbird? The solution would be a catch-22: Dr. Durant was too obvious, but any other suspect would be illogical.